Nothing gets me more excited than a group of people getting together to brainstorm solutions to big issues. Call me a nerd, sure, but there’s no denying the power of discussion. Over the past three decades, I’ve attended summits and conferences focused on our earth’s most valuable resource: oceans. What was sorely lacking from those gatherings was an open-forum discussion on real, scalable solutions to the issues. 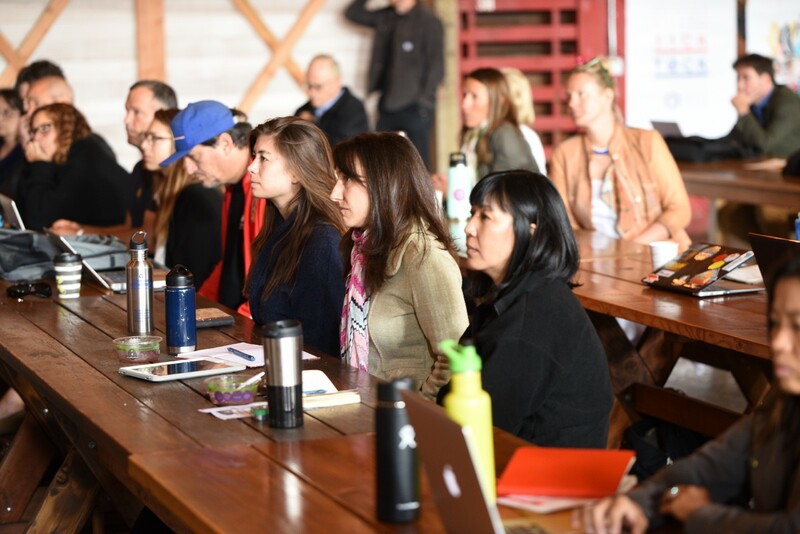 That’s why I created the Rising Tide Summit in 2018: to bring local businesses and non-profits together to collaborate and come up with real-world solutions. With an inspirational line up of speakers, this year’s summit will encourage us to go deeper, think outside the box and dig into ways we can save our oceans, and the economies that depend on them. The only way we can inspire radical collaboration is if we all work together. Wondering whether the Rising Tide Summit is right for you? The answer is yes! Take charge — Businesses are the cause of most of the major issues our oceans are facing, and they need to be the ones driving the conversation toward solutions. It is my hope that this year leaders will help turn the tide on ocean pollution. Take action — Encouraging business leaders to go beyond discussion and taking action will lead to collaborative solutions. Build community — Meeting and working with your colleagues in other industry’s who share a passion for finding scalable solutions will inspire brainstorming. Promote community activism — Businesses are the back bone of their communities, and being active in your community, giving back to those around you, will help inspire others to do the same. Find scalable solutions — San Pedro is the busiest port of the fifth largest economy in the world, and is the ideal place to find solutions. Innovation — Each presenter is making a tangible and measurable difference today, without grandstanding or false promises. Network — Everyone who attends the summit is working toward the same goal: to create global solutions to global problems. Get inspired — What’s better than finding a group of like-minded people who share your passions? In my mind, nothing. The summit is a wonderful opportunity to meet new people, share ideas and enjoy the company of people working to save our oceans. Learn about new groups –The Business Alliance for Protecting the Pacific Coast is opposed to new or expanded offshore oil drilling. The alliance is also quickly becoming a great example of how a coalition of non-profits and businesses across three states are able to work in collaboration. Plastic pollution picture — Brands are eager to embrace new recyclable synthetic fabrics for greater sustainability, but what is their impact on the environment? Learn more about how we can embrace innovation while making sure our planet is protected. Get out and vote — Hear from the founder of the Environmental Voter Project on how we understand why and how people decide to vote and how that leads to exciting news for the environmental movement. Work for a healthy future — The Surf Therapy sector’s vision is to create a world where the lives of people dealing with physical, mental and social disadvantages are enhanced through the therapeutic benefits of surfing and a healthy, clean ocean. Drive change — We have the power to move markets in the right direction when it comes to protecting our ocean under a blue economy. 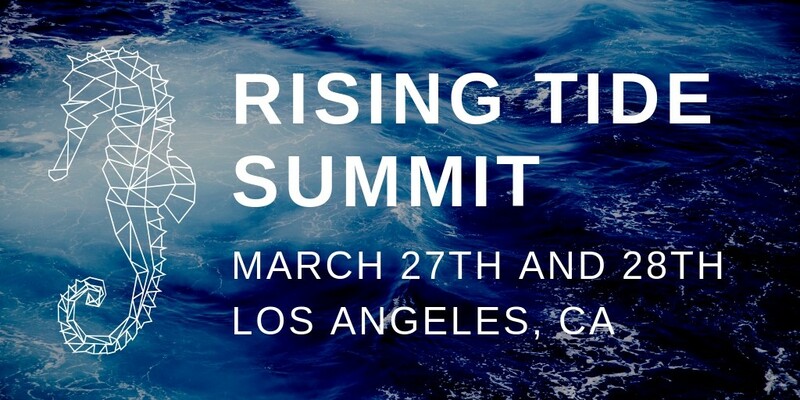 If you’re at all interested in the health of our oceans and protecting this natural resource, then you should attend the Rising Tide Summit. This is an amazing opportunity to meet people who are dedicated to working on this issue and is a great way to be part of the solution. I hope you are as excited for this year’s summit as I am! I hope to see you there, ready to roll up your sleeves and get to work.